Sands Investment Group is pleased to present this Absolute Triple Net property for sale located in Tullahoma, Tennessee. Arby's Restaurant Group, Inc. is the second largest quick-service sandwich chain in the U.S. with more than 3,400 restaurants in 7 countries. 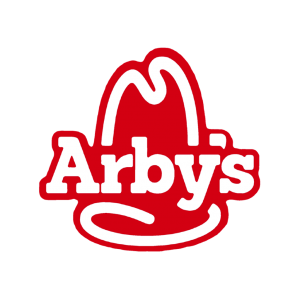 Arby's was founded in Boardman, Ohio, in July 23, 1964 by Forrest (1922–2008) and Leroy Raffel (1926), owners of a restaurant equipment business who believed there was a market opportunity for a fast food franchise based on a food other than hamburgers. The Arby's brand purpose is Inspiring Smiles Through Delicious Experiences®. Arby's delivers on its purpose by celebrating the art of Meatcraft™ with a variety of high-quality proteins and innovative, crave-able sides, such as Curly Fries and Jamocha shakes. Arby's Fast Crafted® restaurant services feature an unique blend of quick-serve speed combined with the quality and made-for-you care of fast casual. Inspire Brands was formed earlier this year when Arby’s Restaurant Group, Inc. acquired Buffalo Wild Wings, Inc. for $2.9 billion. The company is majority-owned by affiliates of Roark Capital Group and has a portfolio of more than 4,700 company-owned and franchised restaurants worldwide with combined 2017 global system sales of more than $7.6 billion. The acquisition of Sonic, the nation’s largest drive-in restaurant chain, would add more than 3,600 locations.